"[Dimon] calls Bitcoin a fraud: I call the U.S. dollar a fraud," McAfee says before throwing some serious shade at the bank CEO. John McAfee is once again challenging JP Morgan CEO Jamie Dimon's recent comments railing against Bitcoin. The founder of McAfee associates known for its antivirus software and current head of MGT Capital Invests, which mines Bitcoin, McAfee says Dimon is just scared. McAfee's confidence in the cryptocurrency is certainly justified given the march toward bitcoin $10,000. 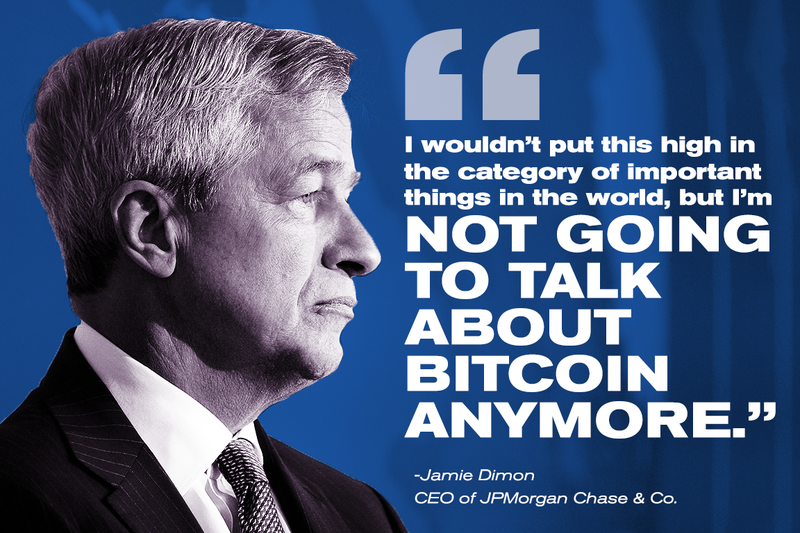 It seems Dimon just cannot refrain from provoking the cryptocurrency investors further. Dimon said in early October he would no longer comment on Bitcoin. The next day he reportedly told a crowd at the Institute of International Finance, "If you're stupid enough to buy it, you'll pay the price for it one day!" "Keep in mind that Mr. Dimon is the CEO of one of the largest banks in the world, JPMorgan," McAfee said in an exclusive interview with TheStreet. "So who does Bitcoin scare the most? It's the bankers! They will be the first to go." "I am one the largest Bitcoin miners in North American, and it costs over $1,000 per coin to create a Bitcoin," he said. "What does it cost to create a U.S. dollar? Which one is the fraud? Because it costs whatever the paper costs, but it costs me and other miners over $1,000 per coin. It's called proof of work. He [Dimon] calls Bitcoin a fraud: I call the U.S. dollar a fraud." Some governments and traditional financial institutions are opposed to Bitcoin, but the cryptocurrency has momentum. "This movement is unstoppable," McAfee said. "It is important to remember there are over 1,000 cryptocurrencies beyond Bitcon. Currently Bitcoin only accounts for one half of product. So it is not just Bitcoin. What governments don't understand is that these cryptocurrencies cannot be regulated in any circumstances by anybody, even the exchanges who attempted to sit down the exchanges in China last month. It doesn't matter." JPMorgan Chase is also launching a blockchain-based system with two other banks to reduce global payment transaction speeds "from weeks to hours." Of course, blockchain is the technology behind the digital currency Bitcoin which Dimon has called a "fraud." "How can you ban something which is distributed?" McAfee said. It is impossible. "In the 1930s they once tried to ban alcohol in America but we consumed more alcohol. This ban is simply not going to work." McAfee is passionate about Bitcoin to the point of being highly emotional about it. "When I first read the white paper that [Bitcoin creator] Satoshi put together, I was in tears," McAfee said. "I'm serious. I am a 72 year old man here ... When I read it having been a technologist my entire life my face was wet with tears from that fact that this man or woman or team of people had put together something which said here is the key... [voice breaks] this concept can never be stopped." Now McAfee has very clearly made the case for why he thinks Bitcoin is the real deal. Who knows what Dimon's reason for attacking Bitcoin is exactly? European firm Blockswater LLP, with headquarters in the U.K. and Austria, has filed a market abuse report against JPMorgan Chase's Dimon for "spreading false and misleading information" about Bitcoin. McAfee said: "I wish I had the power to diss my company and then buy the stock!"